Established in 2007, we planted our first commercial trees at a place called Ladydowns, between Penzance and St Ives. Unfortunately we found that the ground was not suitable for a viable Christmas tree crop so we moved and now grow Christmas trees in Gulval, near Penzance though we decided to keep the name Ladydowns Christmas Trees. We began planting at Gulval in 2010, and are now well on the way to growing over 10,000 Christmas trees. We sell them every year from Polgoon vineyard & Orchard on the A30 near Heamoor and we are open every day in December up to Christmas Eve. Our trees are freshly cut at least weekly but often daily depending on the variety, so more often than not, the tree you choose will have been cut down that morning. There is always a large choice on display. All our trees are in stands and set up, so you and your family can wander amongst them and choose the right one for you. 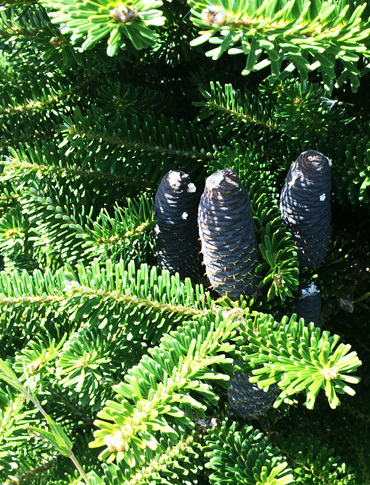 Once you have chosen your tree we will trim the base for you, put the tree in netting and load it in your car. We also sell water holding tree stands, the easy way to put up your tree and ensure it keeps looking good over Christmas. There is ample, easy parking, and a great vineyard shop selling Polgoon wines and juices as well as a huge variety of other local produce. 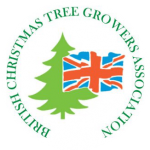 As a member of the British Christmas Tree Growers Association (BCTGA), you can be sure of a tree grown with great attention to quality, freshly cut and grown locally.